Let our Attorneys and ParaLegals do your Probate Research! Relieve yourself from the tedium of hours of data collection. We Offer Affordable PROBATE LEAD Programs! Buy just what YOU Need! No One else offers a Probate Program like ours! ANY COUNTY IN THE US! Do You want to find Motivated Sellers? Are you tired of competing in a very crowded Real Estate market? 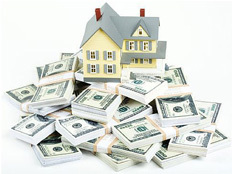 We are the only company providing Probate Leads to Real Estate Investors throughout the US! Wherever you need data, we can provide it! We have hundreds of Researchers visiting county courthouses throughout the US each and every day. 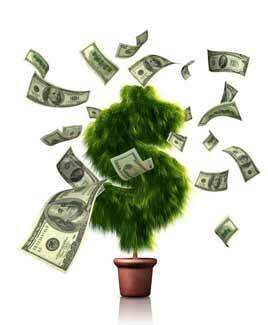 We do the tedious work of retrieving the data for you so you can concentrate on what you do best - Making Money! All Leads* Our most popular selection. Each month you will receive every Probate-related lead filed for the previous month. Block* This option is for those of you on a budget. But 25/50/100/200 Leads(as avilable) on a monthly subscription basis. Test Drive Test Drive our program. Buy 25 Leads from a county on a one time basis. One time each month you will receive All Leads collected for your count or counties of choice. You can purchase the option to be the only person receiving our leads in your county or counties. This is a pricier option, because you are limiting us to selling to only one person instead of multiple customers. You can purchase 25/50 or 100 leads each month in your county or counties of choice. Note that there must be at least the number of leads you are seeking available in a county before this purchase option is available. You can make a one time purchase of 25/50 or 100 leads in your county or counties of choice. Note that there must be at least the number of leads you are seeking available in a county before this purchase option is available. Some executors may ned time before wanting to sell properties. Historical executors have already been in probate process may be best opportunities. I acknowledge and understand that I must CANCEL my order via e-mail 10 days prior to the billing date. I will not receive a refund for any data for which I have received or for any order I do not cancel prior to 10 days before the billing date. I acknowledge and understand that this is a MONTHLY SUBSCRIPTION and my credit card will be billed monthly. 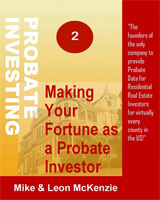 This is a great introductory guide that explains how probate investing works. The entire probate process has been dissected and analyzed and then presented for your review. The information presented is presented in a very clear, concise manner and will provide you the information you need to get started in this exciting field. This is the definitive guide on introducing yourself to the Estate Executor and then on how to establish a rapport with him. If you want to know what to say and how to say it (including what format your introductory letter should take) – this is the Guide for you. We have included numerous letters and postcards that you can make part of your library. You will want to add this to your Business Book collection! This webinar has been designed to provide those of you wanting to learn how to get started in probate investing a step-by-step overview of what is needed. A Senior Member of our Probate Management Staff will make this presentation. 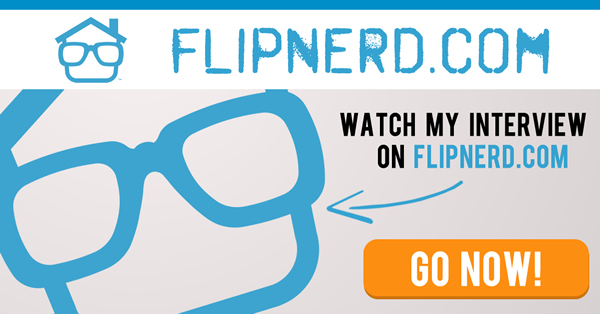 This webinar can be scheduled at your convenience. This is a 3 hour presentation and can be divided into 1,2 or 3 sessions. Within 24 hours of your registration you will be contacted to schedule your Webinar. This webinar will be presented using GoToWebinar and you can have as many folks attend as you desire. 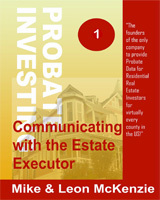 Upon completing this Webinar you will understand the steps associated with probate and the various types of probate, know how to identify executors of an estate, know what properties are available in an estate and how to determine if the estate has property worth pursuing, have the knowledge necessary to acquire real estate from the estate, know and understand the process associated with making profits in the probate market. 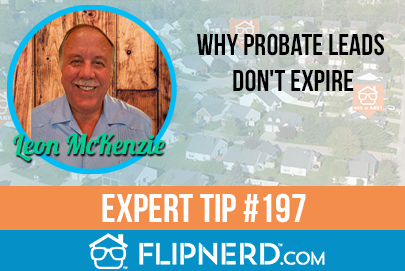 This webinar will be of great value to those of you just getting started in real estate investing that want use probates as the vehicle to make your purchases. Meet with one of the preeminent probate specialists in the country. Members of our staff have been working in the probate business for the last 30 years and this is your chance to have a training designed that meets your specific needs. Our Senior Staff members teach what they know best, how to buy and sell probate properties. When you register for this seminar you will be contacted by a senior training specialist and a probate–related training that will address your training needs will be designed. This will be a 5 hour session and you can specify exactly what content you want to address. This webinar will be presented using GoToWebinar and you can have as many folks attend as you desire. Our staff can provide trainings that will help you learn everything from how to use probate properties to maximize your profits, to how to value a proposed purchase to how to manage a rehab project. You choose the topic that is of interest to you and your team and we provide the training that you want to have your team receive. If you are just getting started and you want to learn how the experts are doing this – this is your chance to learn from one of those experts. Welcome to your first step in getting the Best Residential Real Estate Leads in the US, Today.! 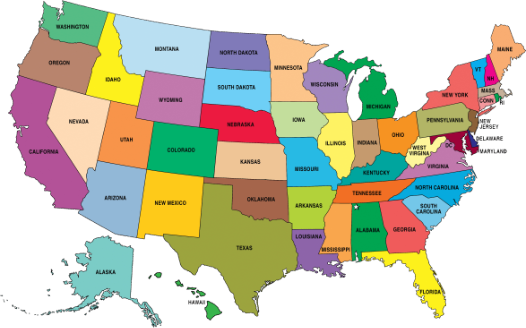 You will find that we have data available for virtually every county in almost every state in the union.